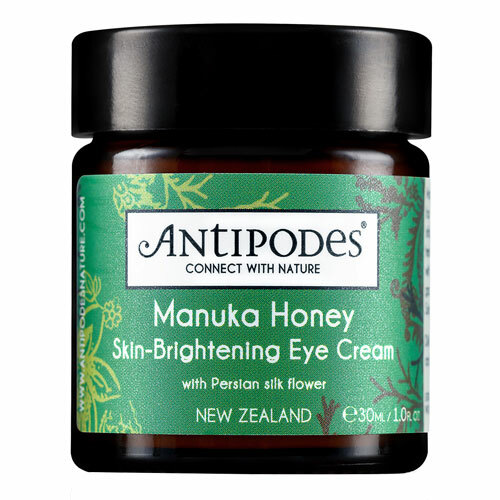 Manuka Honey Active 20+ from New Zealand has world-renowned moisturising and anti-inflammatory prowess to help hydrate and freshen under-eye tissue. This luxury formulation introduces Persian silk flower blended with revolutionary antioxidant Vinanza grape seed and kiwi skin to brighten delicate skin. Pat tenderly onto the skin under and around your eyes. 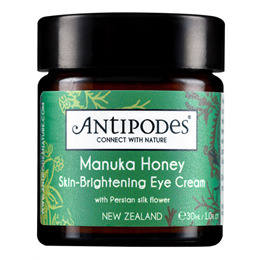 Below are reviews of Antipodes Manuka Honey Eye Cream - 30ml - Best before date is 31st May 2019 by bodykind customers. If you have tried this product we'd love to hear what you think so please leave a review.